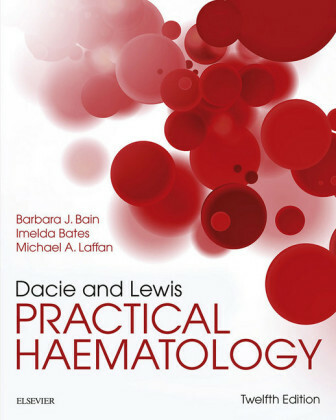 This book provides an educational tool for training as well as an ideal way to prepare for examinations and is also of value to those know examine of haematology and haematopathology. This section comprises 50 Single Best Answer (SBA) questions. They are divided into questions 1-31, which are more relevant to the part 1 MRCP examination and questions 32-50, which are more relevant to the part 2 MRCP examination. 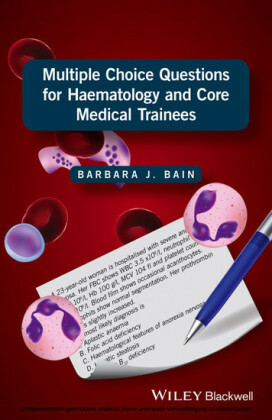 Although having a general medical slant, these questions are also appropriate for haematology specialist trainees. Normal ranges are given in parentheses. Answers and feedback will be found on pages 101-123. A 69-year-old Afro-Caribbean woman is referred to rheumatology outpatients because of painful joints and morning stiffness. She is found to have a minor degree of lymphadenopathy and her spleen is tipped on inspiration. 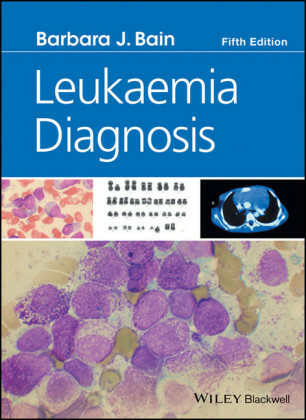 An FBC shows WBC 98 × 109/l, Hb 83 g/l, platelet count 221 × 109/l, neutrophils 7.2 × 109/l and lymphocytes 91 × 109/l. Her blood film shows mature small lymphocytes with scanty cytoplasm, round nuclei and coarsely clumped chromatin. Smear cells are present. Rheumatoid factor is detected and her erythrocyte sedimentation rate (ESR) is 54 mm in 1 h (<20). A 69-year-old man who has received repeated courses of chemotherapy and chemo-immunotherapy for refractory mantle cell lymphoma presents with the gradual onset of cognitive impairment, dysphasia and dyspraxia. On lumbar puncture, pressure is normal, there is a slight increase in protein concentration, cell count is not increased and glucose is normal. Magnetic resonance imaging (MRI) of the brain shows multiple high intensity signals on T2-weighted and FLAIR sequences affecting mainly the white matter. A 49-year-old woman is admitted to the intensive care ward with septic shock. Her FBC shows WBC 18 × 109/l, Hb 83 g/l, platelet count 150 × 109/l, neutrophils 17.2 × 109/l and lymphocytes 0.5 × 109/l. 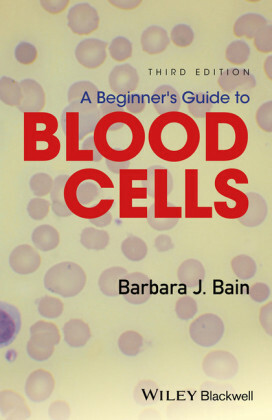 Her blood film shows toxic granulation and left shift. A 23-year-old woman is hospitalised with severe anorexia nervosa. Her FBC shows WBC 3.5 × 109/l, neutrophil count 1.1 × 109/l, Hb 100 g/l, MCV 104 fl and platelet count 70 × 109/l. Blood film shows occasional acanthocytes. Neutrophils show normal segmentation. Her prothrombin time (PT) is slightly increased. A 60-year-old Cypriot woman is referred back to rheumatology outpatients as she has suffered a flare of her rheumatoid arthritis. Her FBC shows WBC 12.0 × 109/l, RBC 3.62 × 1012/l, Hb 83 g/l, Hct 0.27 l/l, MCV 74 fl, MCHC 310 g/l, platelet count 441 × 109/l and neutrophils 9.2 × 109/l. Her blood film shows increased rouleaux formation and the ESR is 65 mm in 1 h (<20). Serum ferritin is 47 µg/l (14-200), serum iron is 6 µmol/l (11-28) and total iron binding capacity 65 µmol/l (45-75).